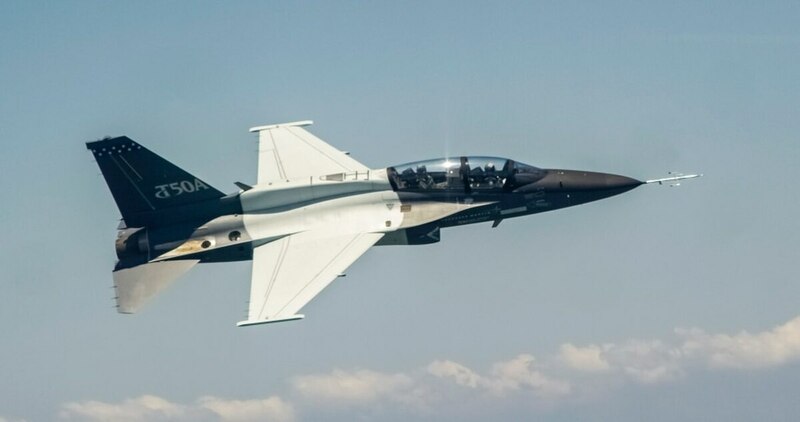 Lockheed's T-50A was one of the bidders in the Air Force's T-X competition. WASHINGTON — Losing three major programs over the course of about a month wasn’t an easy pill to swallow for Lockheed Martin. But winning them could have been even more detrimental to the company, resulting in a loss of more than $5 billion, its chief executive said Tuesday. During a Oct. 23 earnings call with investors, Lockheed CEO Marillyn Hewson said that the company would have incurred massive losses if it had matched the winning bids put forward by Boeing on three major defense programs — likely the Air Force’s T-X trainer competition, its UH-1N Huey helicopter replacement and the Navy’s MQ-25 tanker drone. It's been a good couple of weeks for Boeing. In late August, Boeing received $805 million for a contract to develop and build four MQ-25 drones. That award was followed a month later by a $2.38 billion contract for Huey replacement helicopters, which the Air Force estimates shaved $1.7 billion of the projected value of the program. Then, just days later, Boeing nabbed another victory, this time a $9.2 billion award for T-X that basically cut the Air Force’s $19.7 billion cost estimate in half. Lockheed was the only company that vied against Boeing in all three competitions. It declined to protest Boeing’s wins — as did all other losing vendors — likely because Boeing’s aggressive bidding strategy and willingness to accept risk resulted in a low price other companies couldn’t match. Asked by one analyst whether Boeing’s “low-ball bids” could impact the outlook for future sales, Hewson said she couldn’t project how other companies would bid, but noted that Lockheed had observed an increased emphasis on affordability by the Defense Department — and a proclivity toward lowest price technically acceptable solutions. Lockheed’s Chief Financial Officer Bruce Tanner said that it was “disappointing” the three major losses occurred because the Defense Department chose a winner based on price, adding that such an approach doesn’t always allow for the best technology to make its way to the battlefield. However, not all competitions adhere to the lowest-price technically acceptable approach, he said.